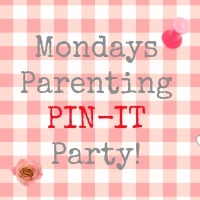 Back to this week and we are with Jenny of Mum of One for this week’s parenting pin it party. Summer holiday season is now upon us (apologies if your children are still at school, or should I be apologising for that?) so why not share your holiday parenting posts; anything from craft to outside living to home baking ideas.